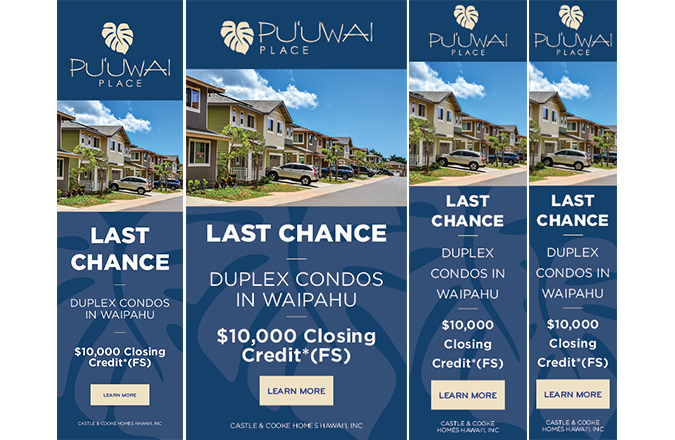 The objective of this featured integrated advertising and marketing campaign was to announce to the key target markets that this is their last chance to own at Pu’uwai Place, Castle and Cooke’s newest real estate neighborhood in Waipahu, Hawaii. 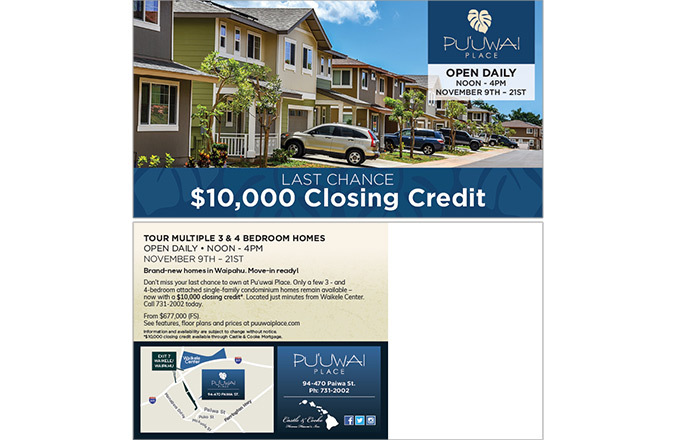 The campaign also promoted a $10,000 closing credit cost incentive. 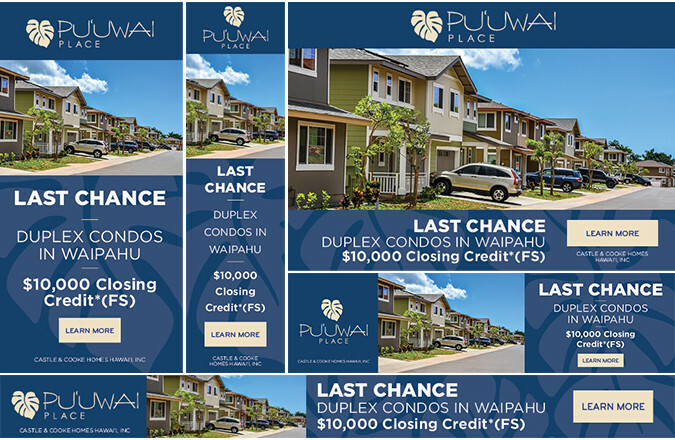 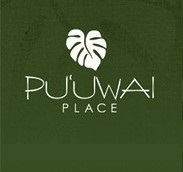 This campaign’s advertising design incorporates an attractive streetscape photograph that showcases Pu’uwai Place as a completed and thriving community. 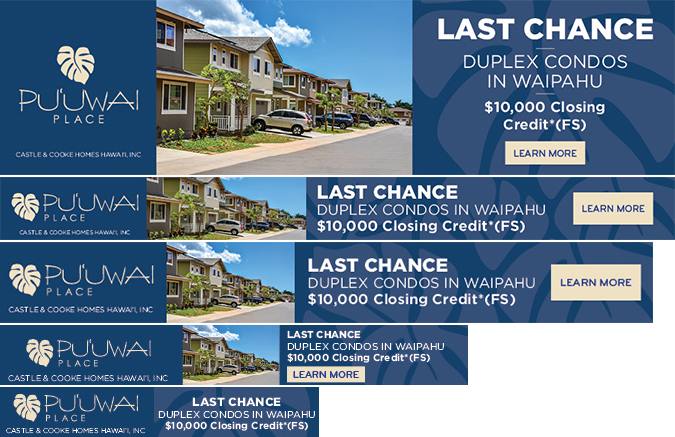 The “Last Chance” and limited time “$10,000 Closing Credit” headlines create a sense of urgency for the remaining available homes. 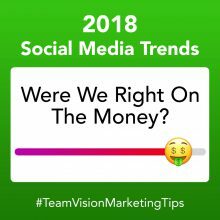 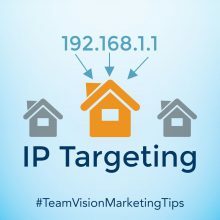 This campaign includes sponsored Facebook and Instagram ads, a direct mail campaign, and Google display and remarketing banner ads. 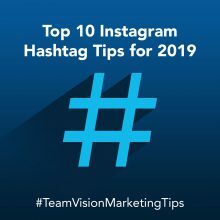 Castle & Cooke Hawaii has worked with Team Vision on all of their full-service advertising agency needs for over 20 years. 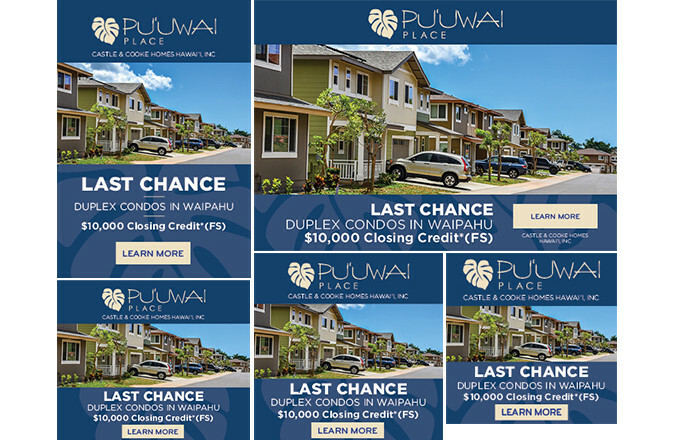 Together, we have developed new brand identities, logo designs, responsive web site designs, sales office concepts, brochures, and advertising and marketing programs for each of their new real estate marketing projects. 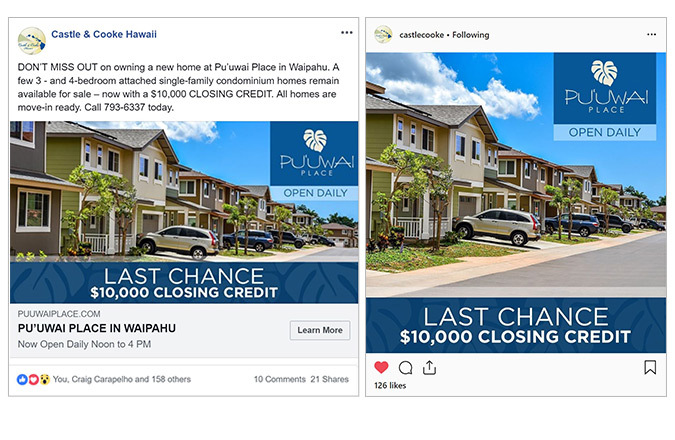 Browse through other creative work we’ve developed for Castle & Cooke, which includes print advertising, entry signs, web site design, photo shoots, package design, social media marketing and digital marketing campaigns. 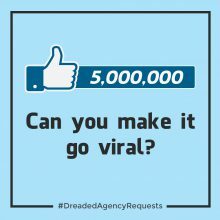 Listen to the testimony of Bruce Barrett, Executive V.P. 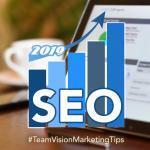 of Castle & Cooke Hawaii, on his experiences working with Team Vision for all of their marketing needs.